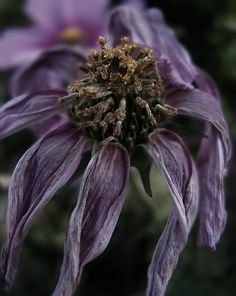 I had to write a description of a homeless person on the street in my English class and I decided to use the idea of a beautiful flower which is past its best to inspire me. She sat. Alone. Finding hope in the filthiest of places. Her life began at home, a dear place in her heart, but soon became a place which when mentioned tore her apart. As time goes on her dazzling eyes become greyer, and her heart begins to wilt. Her harrowing dismal day let her drift back in time, where she spent her nights troubled about certain times to come. However, she was not defeated; her anguish was not enough to drag her down, because to live a life like that, your soul had to be strong.